simsMVA is a Matlab-based app that provides a complete set of tools to load, visualise and process time-of-flight secondary ions mass spectrometry data sets. 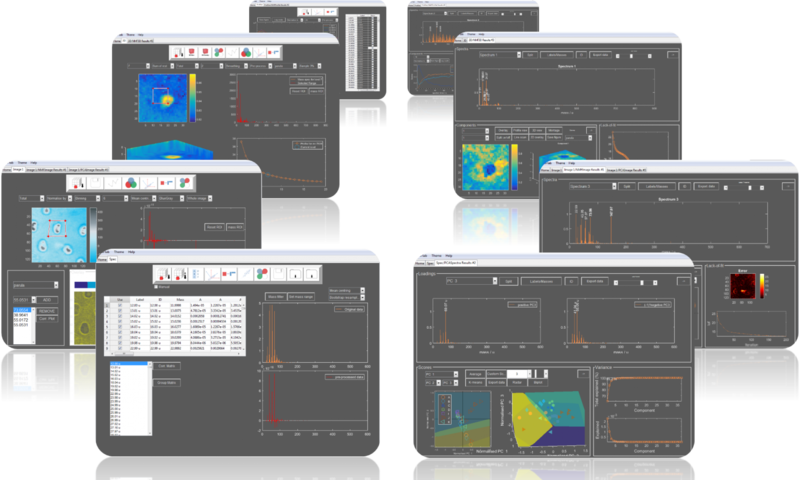 analyse your mass spectrometry data of different samples using simsMVA SPECTRA mode. The simsMVA IMAGE mode offers tools to manipulate and process imaging datasets. The simsMVA 3D mode enables rapid processing and visualisation of 3D depth profiling data.